You are looking northwest from the scenic overlook near Summit Avenue and Mississippi River Blvd(in Shadow Falls Park). 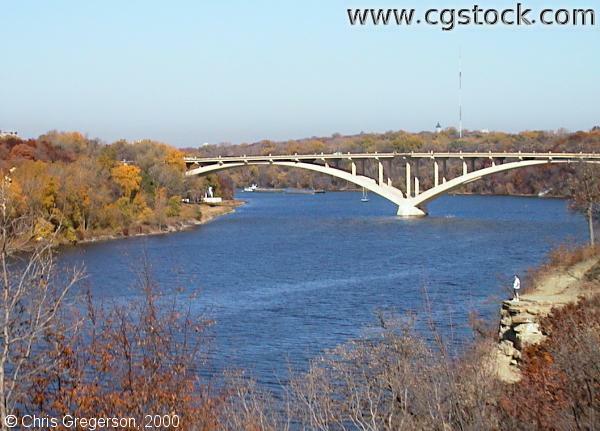 The Lake Street Bridge is at center frame. On the horizon at right is the Witch's Hat water tower and the KSTP broadcast tower. Minneapolis is on the left(west) side of the river.